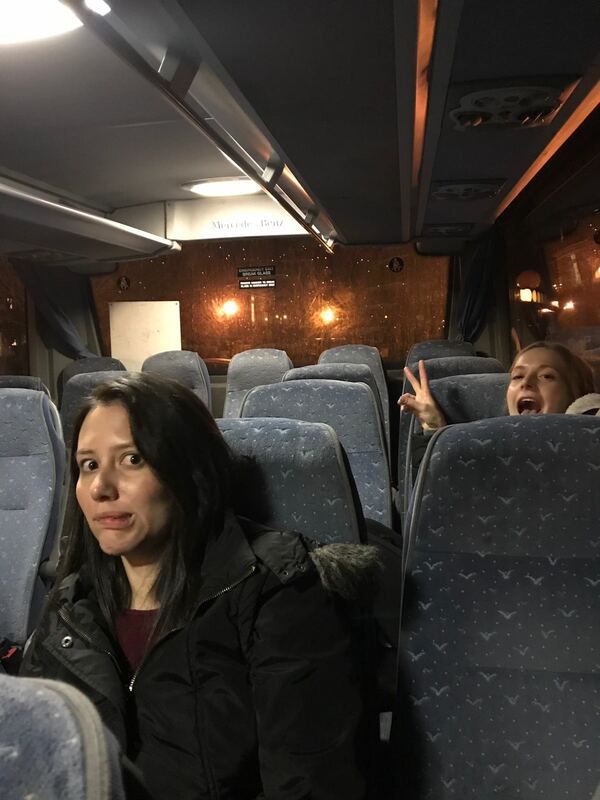 Our Monday morning started very early with our bus due to leave Mitchell Hall at 4am, on time and in full, a theme that would be fully engrained in us (until we lost Steve on the last day). Walking around Heathrow Terminal 5, students could be found in various states of tiredness, determinedly waiting in the Starbucks queue, sleepwalking around duty free or attempting to type up the remainder of their Retail assignment and submit it at the gate. Finally, we were called for boarding and we were off! 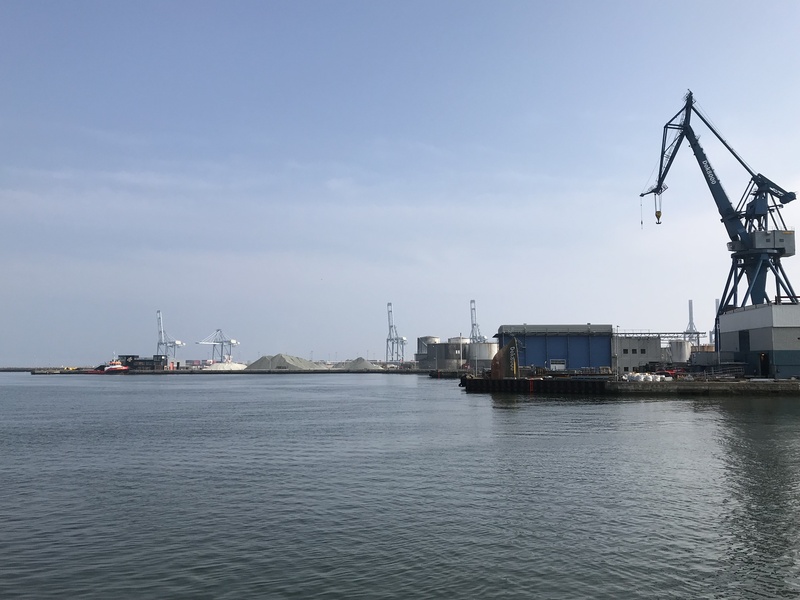 When we finally arrived in Denmark, the weather was much warmed than expected and we were already seeing some big names on the road such as DHL, Maersk and DB Shenker. After dropping bags at the hotel, the few of us that could keep our eyes open ventured into town. 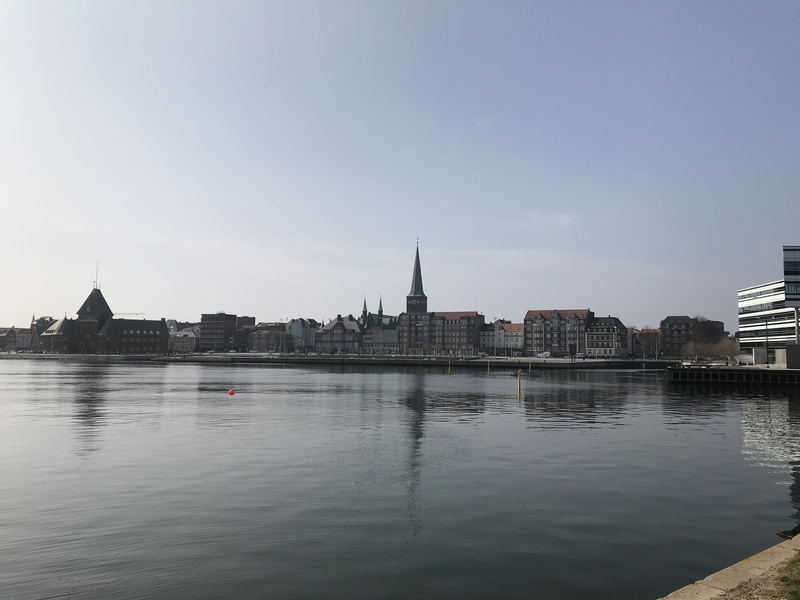 After failed attempts to hire bicycles and appetites had been sated, a leisurely walk around the town led us to the harbour where surprisingly we were able to relax for a bit and enjoy the sunshine. Wandering through town, we spotted many 7-11’s in the streets and questioned why our ISB assignment was based on 7-11’s in Japan rather than 7-11’s in Denmark so that we could have just asked them for the answers in store. Finally, before heading back to the hotel, we walked in the direction of the old town and took a walk through the open-air museum which displays 75 buildings preserved from over 500 years of Danish history. Eventually we made it back to our hotel and threw ourselves into bed to get some shut eye before getting up for our first stop on our study tour the next morning. 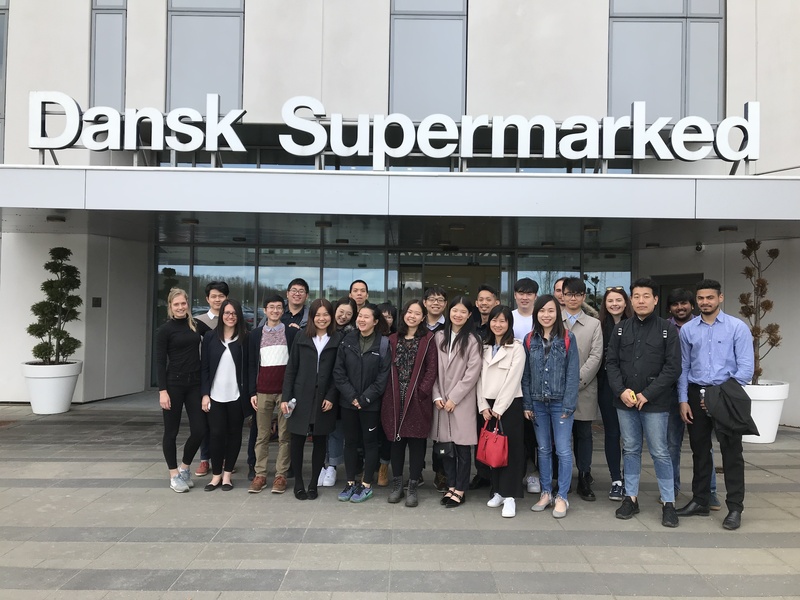 On Tuesday morning we made our way to Dansk Supermarked Group. After a warm welcome, we settled into presentation from the Logistics, Supply Chain and IT department. Dansk Supermarked Group employs 51,000 employees in 4 countries; Denmark, Poland, Germany and Sweden. They currently own 4 store chains including Netto, Fotex, Bilka, Salling and 5 ecommerce platforms including Bilka, Fotex, wupti, Salling and Skagenfood. Each format currently has a strong market position and a well-defined strategy for the future. 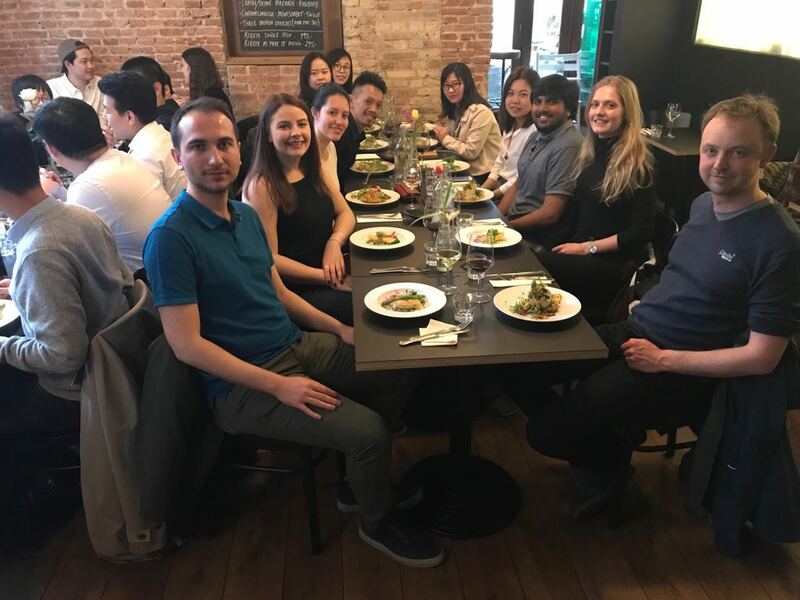 They demonstrated lots of knowledge, supported by data and analysis on their target markets and explanations as to their reasons for moving in certain directions. 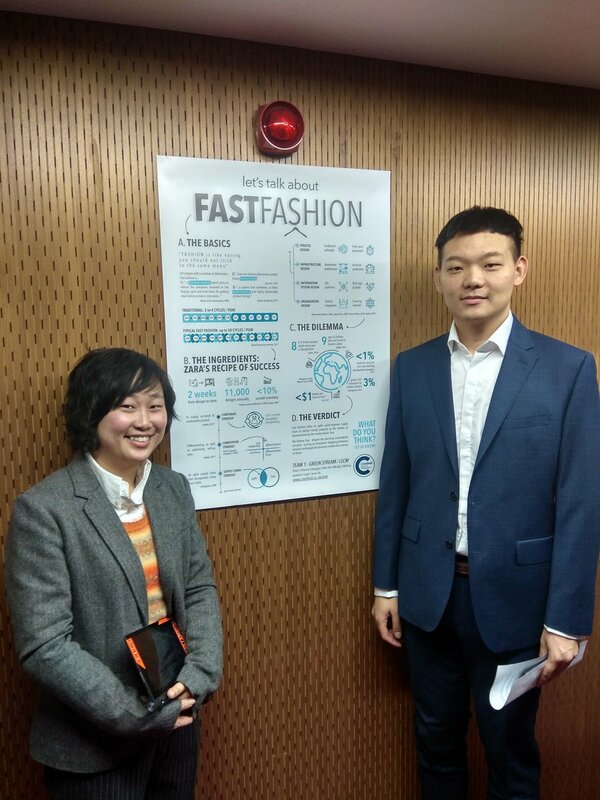 For example, they discussed why they currently believe last mile logistics would not be profitable for the company and instead why they offer shopping online with a drive through collection at the stores. This is down to the high density of their stores in Denmark, within a 2-mile radius, there can be at least 40 supermarkets owned by the group. Not to mention that the cost of a driver for last mile logistics would average £60-£70 an hour. Dansk fully implemented 4-5 years ago and it was clear from the presentation just how important the use of data is to them. All data is stored in house and information available includes the products sold, from which supplier it came from, from which warehouse and at what time it was sold. Currently, the Supply Chain department believes their most important KPI to be sales availability. Forecasts are made weekly based on single SKUs in specific stores and orders can be done daily. The IT department claim that the category buyers, who are responsible for managing sales expectations, tend to be quite optimistic and so a decision was made to ensure that historical data was utilised to make forecasting more predictable. When promotions take place, historical data is analysed over 110 weeks and forecasts made. Seasonal forecasts are harder to predict for them, especially if the SKU was on promotion the previous year. Therefore, forecasting is done manually for seasonal produce, however, the aim is for this to be fully automated in the future. Dansk seem to collaborate well with their suppliers, especially their food suppliers. They claim to have good coverage and flow with their food suppliers as all of them are very close in location to support the high turnover levels they have. However, they claim that implementing JIT has not always been so simple for them and that their estimations of the right time must be better than being based simply on when the sale occurs. This is why they rely so much on their data and share all their forecasts, wastage levels and current stock levels. When promotions are due to take place, they can be viewed in the system by suppliers anything up to 5 weeks in advance. Their promotional lines have created plenty of challenges and in the future they would look to offer more of an assortment to customers and less promotions. Dansk seek to have a fixed level of safety stock on their fixed offerings however, some categories are specifically calculated. Promotional stock will have a 20% ‘presentation stock’. A daily update is provided each day for Stocks outs. High moving products will be delivered up to 6 or 7 times a week whereas slow movers will be delivered once a week. Warehouses are set up for both flow through and put away with their warehouse network based on outbound flow. Warehouses are positioned based on the locations of stores with 6 food warehouses in Denmark alone. Later in the morning we heard from the senior category manager for bikes and leisure. He discussed the current challenges he was facing which included sourcing bikes from Taiwan, Bangladesh and Indonesia which offers higher quality to them; the change to regulations which is making is much more expensive to import from China to the EU; and the online market trends. Dansk made the decision to purchase one of their main bike suppliers SCO and has since seen a market share increase from 11% 3 years ago to 18% now. 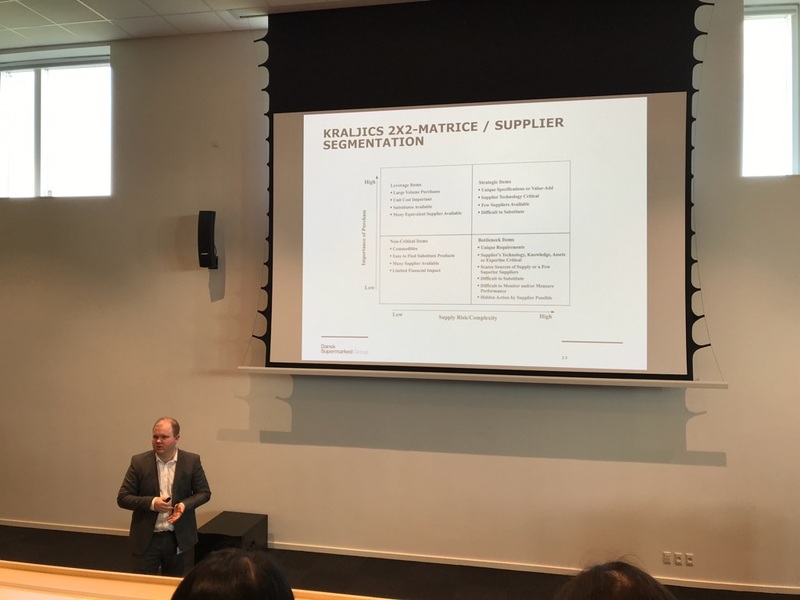 There was a lot of discussion around the importance of the suppliers in different ways and the use of the Kraljic model in practice. Through their bikes they sponsor local school competitions, conduct very specific marketing for SCO and also provide bike specialists and technicians in their hypermarkets up to 5 times a week. 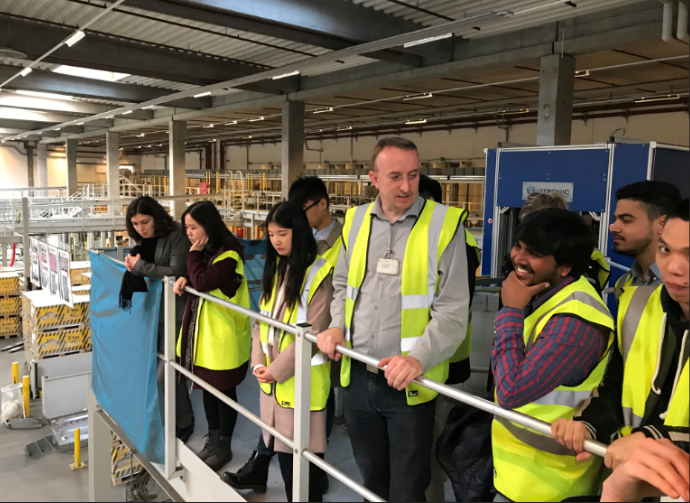 During the presentation we viewed some short promotional videos for SCO and also a manufacturing video from one of their factories in China which they filmed to document the quality in the process. 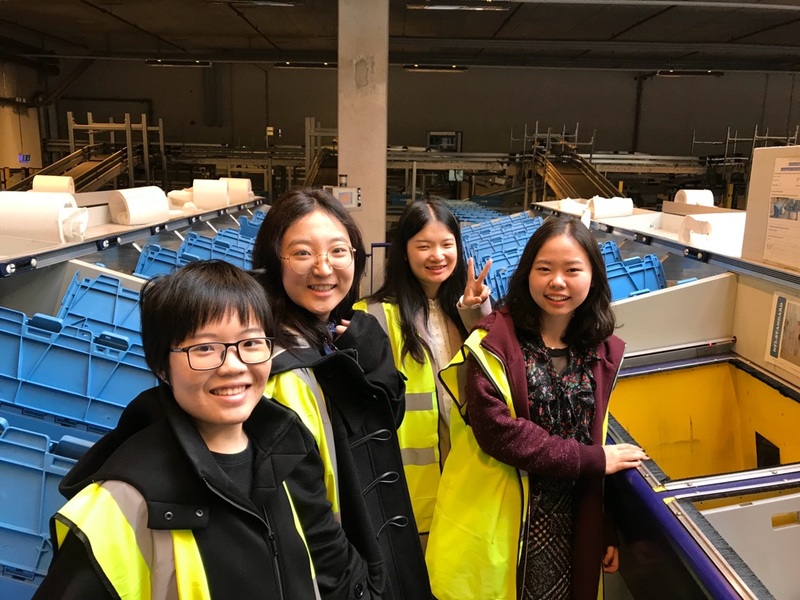 After all the presentations, we were taken to their semi-automated warehouse for a guided tour. This specific warehouse currently employs 185 workers and caters for Bilka and Fotex stores. Since 2014 it has won the Danish award for safest work environment with only 2 reported accidents last year. 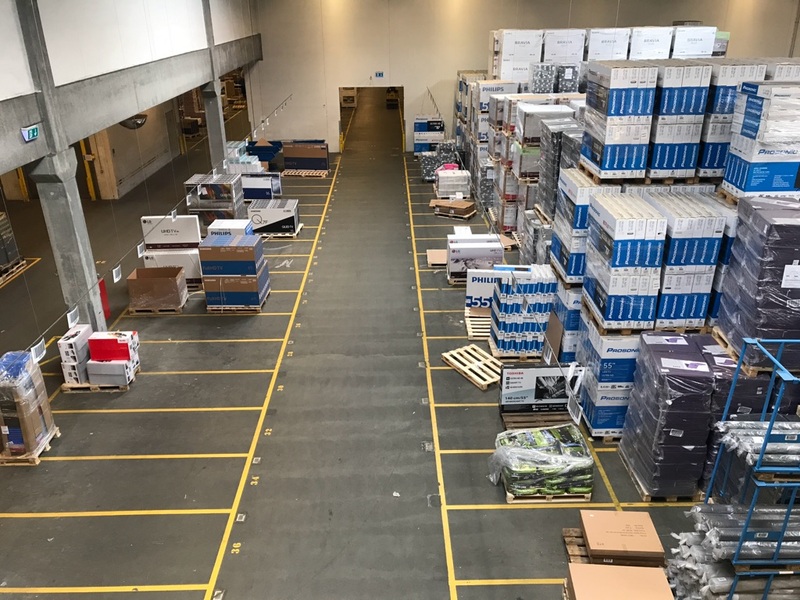 Their manual area in the warehouse accounts for 5% of boxes being sent out is manned by 8 employees on a shift and covers anything that doesn’t fit on a Euro pallet or unable to go on the automated system such as fluids. Barcoding is used to identify products and there is lots of shrink wrap! The warehouse receives 1000 pallets everyday with 50% coming in containers from the far East and the remainder on trucks from the EU. 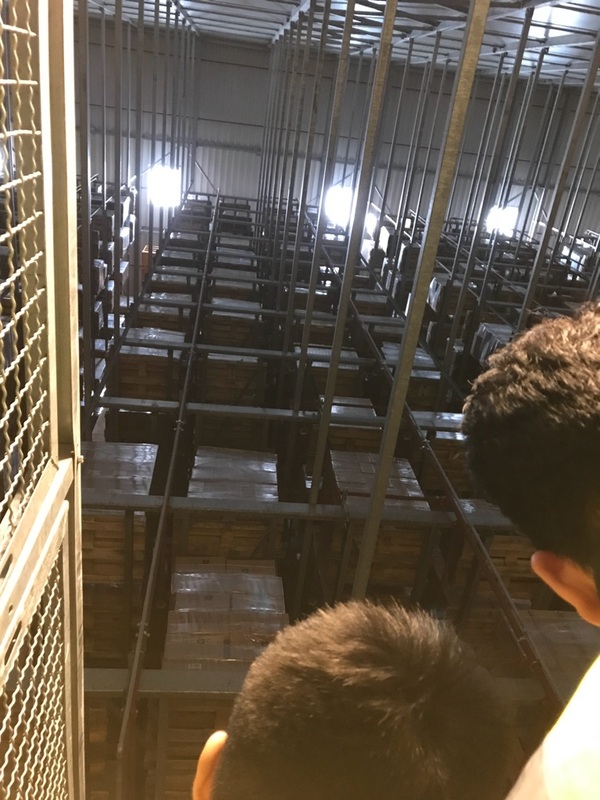 Again, pallets are scanned via barcodes and loaded onto the conveyor before being loaded into the high bay which is the size of a football field with the capacity for 80, 000 pallets but only 60,000 currently being utilised. 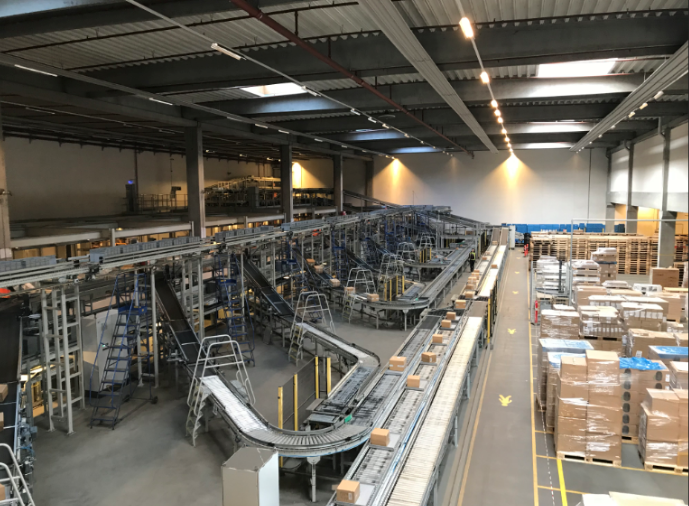 Products are loaded using the chaos system with cranes moving 15km per hour and overnight required pallets are moved to the front if they are required the next day. In the warehouse, August tends to kick off the high season as it is Bilka’s birthday and there tend to be lots of promotions on. After Christmas, low season sets in around mid-January. High season tends to be twice as big as the low season and up to 100 temporary workers can be taken on per day. 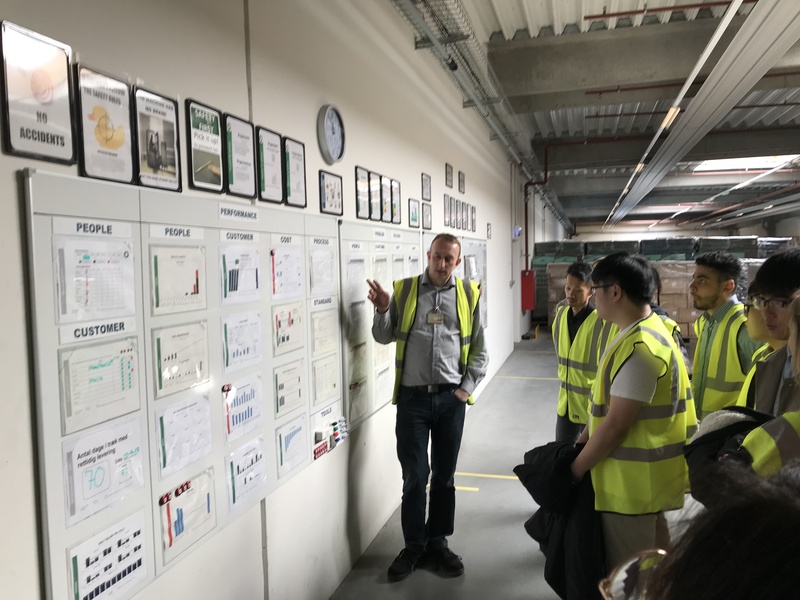 The warehouse was housing 22,000 SKUs at the time of our visit which we were advised would have risen to 75,000 SKUs by the end of the year and employing 16 different nationalities. Their warehouse management system (WMS) communicates with SAP however, master data is often found to be unreliable and the WMS is used more often than not. Small items are handled into tote bins by hand with over 800 pieces being organised every hour. They currently use mini loads which have been installed for over 10 years and are serviced every 3rd month by the 25 technicians on site. Systems with 3d scanners identify the size of the packages and demonstrates the most efficient way to pack the pallet before it is shrink wrapped, labelled and sent off. In the warehouse, the main KPI used is how much salary is spent per box sent to the store. Based on this the have made their processes so efficient that salary costs were reduced by 50% as too many people were found working in areas with not much to do. These efficiencies have been identified using Lean 5S tools. With safety at the forefront of everything they do in the warehouse, an app was developed and is on every employee’s phone to report any potential issues they may come across in the warehouse. Last year they implemented 100 Kaizen projects and have daily cluster meeting around their Lean information boards. 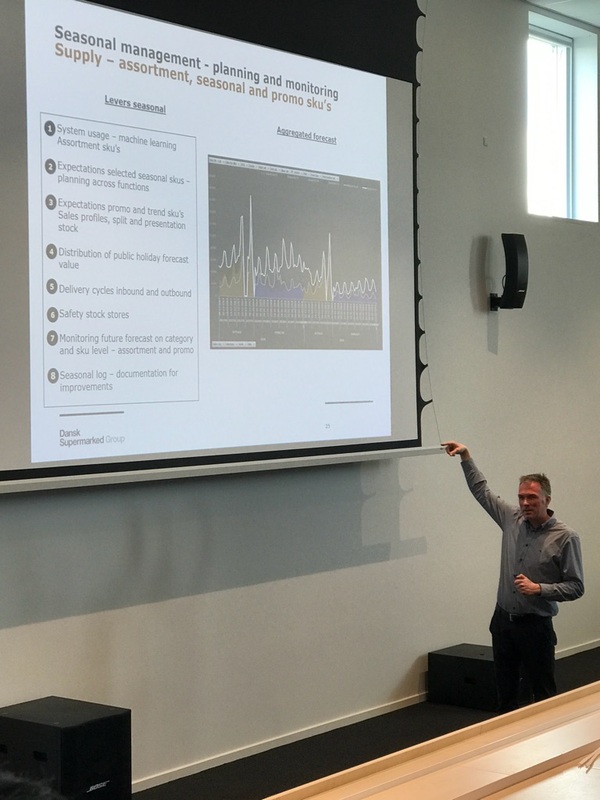 We wrapped up our visit to Dansk Supermarked Group with a much needed lunch and a Q & A session with Niels Katholm Christensen, the Group Director for Logistics. Next we headed to the Aarhus brewery; the largest brewery in Aarhus. We were greeted with a freshly brewed Pilsner and warning at attempted Danglish (Danish English). Jonas, our guide for the afternoon, explained some of Aarhus’ local brewing history and told us about how Aarhus brewery came to be. 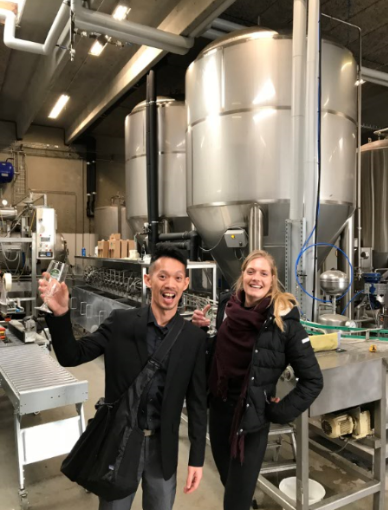 In the 1990s there were around 15 breweries, but with a change to legislation and the Danish recycling of bottles system introduced in 2002, there are now 220 breweries. 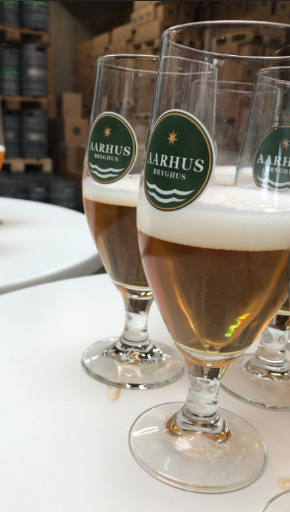 With 300,000 litres being brewed annually, Aarhus brewery spends nothing on marketing. They offer 18 beers with some available all year round and some seasonally. The brewing takes place for 5-7 days and then 2 weeks to allow the beer to ferment and cool. Ingredients are sourced locally and 96% of the beer is made up of water. We tried several different pilsners straight from the tank as well as an India pale ale and stout. 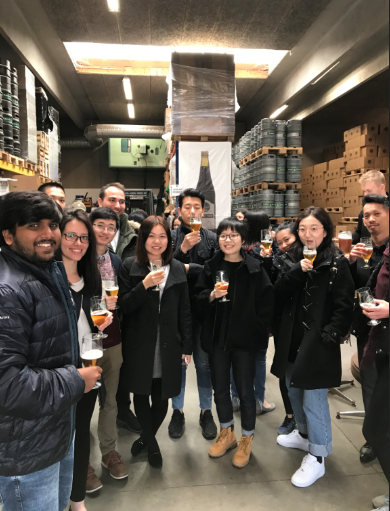 After a walk around the tanks we headed to the bottling area where we heard about the process to get the beer ready for distribution. 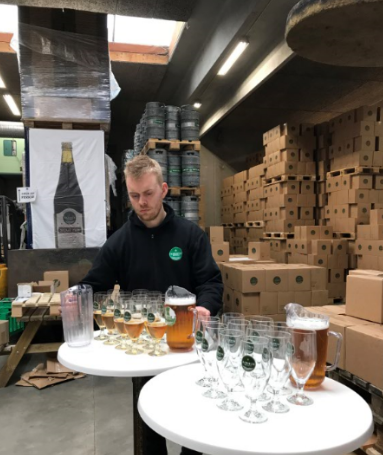 Aarhus brewery bottles the beer on site with 600 bottles being done every hour. The bottles are then heated to a set temperature to enable their shelf life to last anywhere between 9 months and 3 years. Finally, they are labelled with their own machine which has been in operation since 1964 and packaged into boxes of 12 before being boxed and moved to the waiting area to be collected by the distributors. Any bottles which are reclaimed are brought back to the brewery to be melted down and remoulded to ensure all bottles are of high quality and presented well. After our tour we were taken through to the onsite bar to enjoy even more of the locally brewed beers. Later that night, our whole group meandered the streets of Aarhus before finally meeting at Den Rustikke. We were treated to a beautiful 3 course meal before we all went our own way. For many of us this involved bed after a long day!